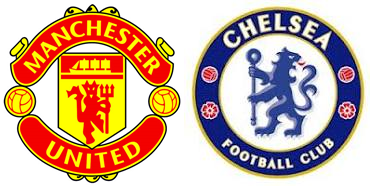 This Sunday features Manchester United vs Chelsea with the pensioners traveling to Old Trafford to take on the Red Devils. Read on for the preview of the Premier League match between Manchester United and Chelsea along with my pick and match prediction. Chelsea come into Sunday’s match with just one draw from their first eight matches giving them 22 points along with a league high +15 goal difference. They are also heading to Old Trafford having smashed Maribor 6-0 in the Champions League, even without their leading goal scorer Diego Costa. Speaking of Diego Costa, he is said to be questionable for Sunday, but it is difficult to say whether this is simply a smoke screen set up by Jose Mourinho, or if they are finally resting him to clear up whatever hamstring issues have plagued him all season long. My bet is that it is simply a smoke screen. He was rested last weekend and again in midweek and I believe this was all to get him ready for the big match against Manchester United. Whatever he might say publicly, this is a match that Jose Mourinho will want to win, or, at the very least, not lose. Manchester United, on the other hand, come into the game having just barely managed a 2-2 draw against 14th placed West Brom. After eight matches United has just 12 points from a 3-3-2 record. This is not exactly the return to glory that most fans expected from a team fresh off of spending over $200 million. Their attacking options are some of the best in the world, but far too often they are left wanting for lack of delivery from midfield and have ended up with their two losses and three draws due to a lackluster defense. Many of these problems can be attributed to a combination of the team still learning to gel under a new manager with new tactics along with the mass of injury woes from the start of the season. So, what can fans expect from Sunday’s match? It’s so difficult to say exactly what will happen. Chelsea has scored 23 goals while allowing just 8 and Manchester United has scored 15 and allowed 12. United’s schedule to date has not been the strongest while Chelsea has had to overcome Arsenal and Manchester City. All signs currently point to this being a high scoring affair and most likely a Chelsea win, but I doubt it will be quite so simple. There have been signs of improvement in this Manchester United team and Chelsea are due for a slip at some point. So far the majority of United’s matches have come against teams willing to sit back and defend leaving them with the need to continually push and push for a goal while also leaving them wide open at the back far too often. If this is the case again, Chelsea’s speedy attack will absolutely tear them apart, but don’t think that van Gaal will be quite so naive as to allow that. What I think will be much more likely is a more pragmatic approach from both managers which could end in another boring 0-0 draw. Both teams will be wary of their opponents strength in attack. Still, my prediction is a Chelsea win. Their performances to date have been dominant and point to them being the best team in the league. A result for Manchester United would be a major coup, but could be a massive springboard for them.